Theory organised by distance learning. 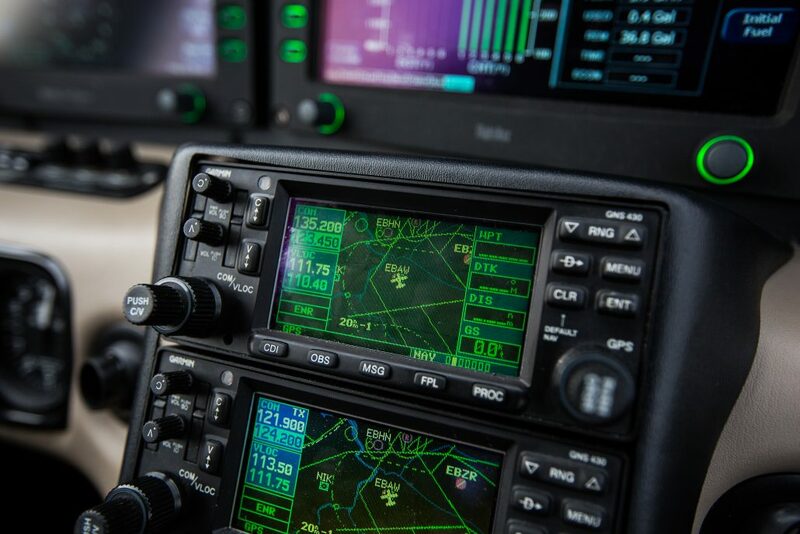 Practical part consisting of 45hrs flying training. 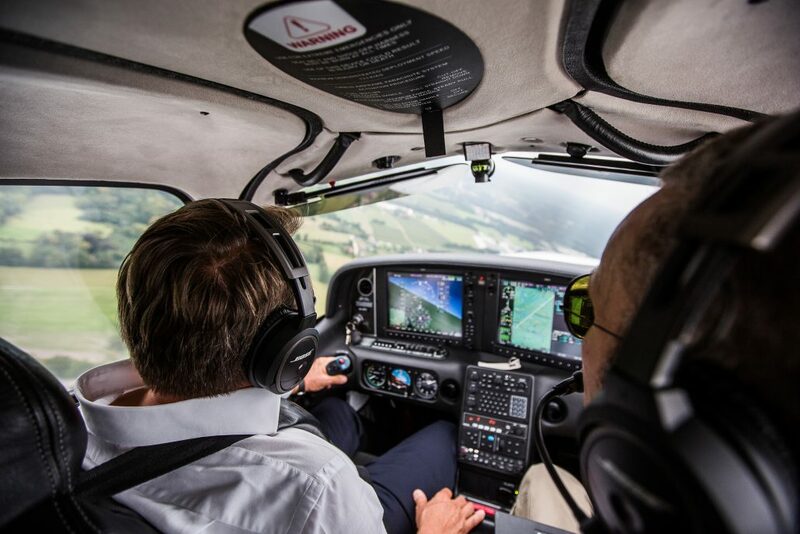 Learn to fly on one of the most modern and performant aicraft. Learn to fly in an exclusive environment. The training is tuned to your schedule and rythm. // What is a PPL license? 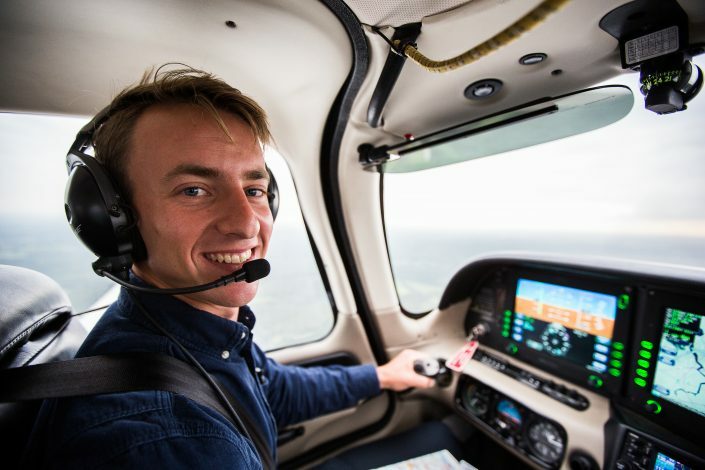 The Private Pilot License authorizes the owner to fly a broad variety of aircraft, not only in Belgium but also far abroad. 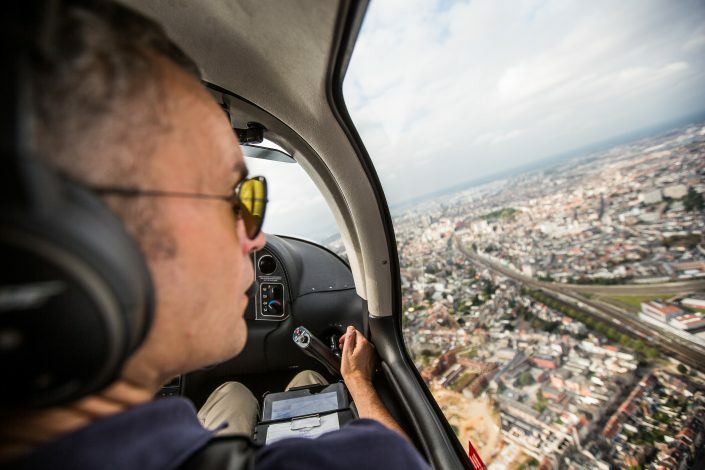 With this license you can also take passengers with you for pleasure flights or for your own business trips. 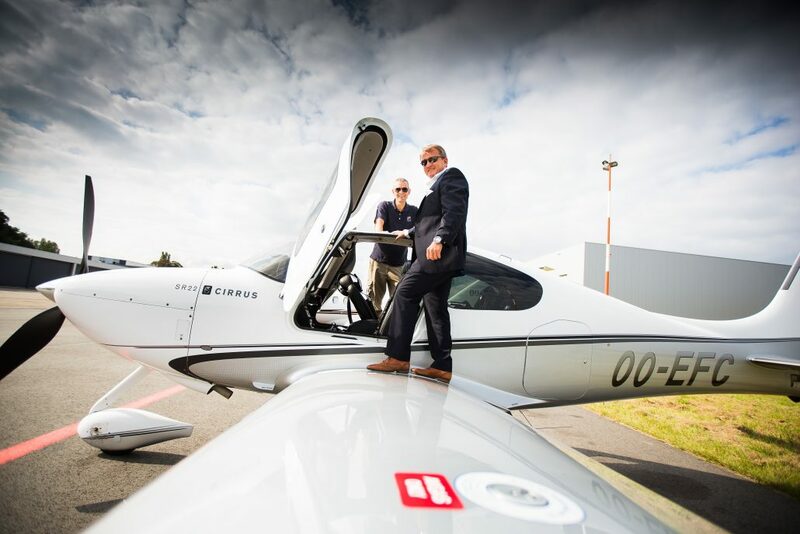 Several of our clients use our aircraft to go to their foreign meetings, in stead of loosing valuable time with airline flights. The theoretical part is organised by the ‘distance learning’ principle. This means that each candidate can study all subjects at home at his own pace. At the end there are some mandatory lessons that can be organised on a suitable moment for the candidate. After completing the courses, some tests will be done to examine the knowledge of the candidate before he can participate the official exams. 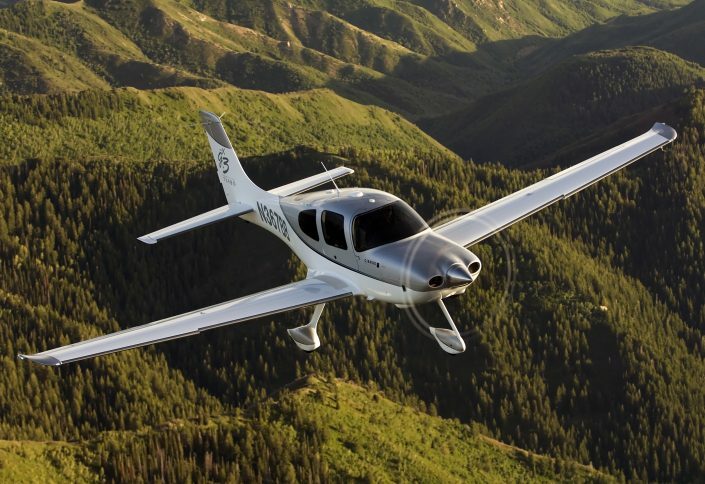 The practical part is done on our state of the art Cirrus SR22. 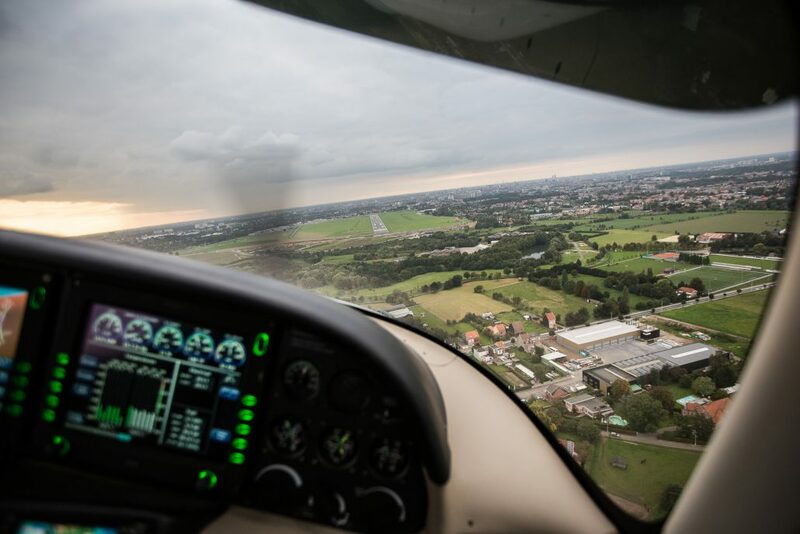 The total course consists of 45 hours practical training including both flights with an instructor on board and solo missions under supervision. 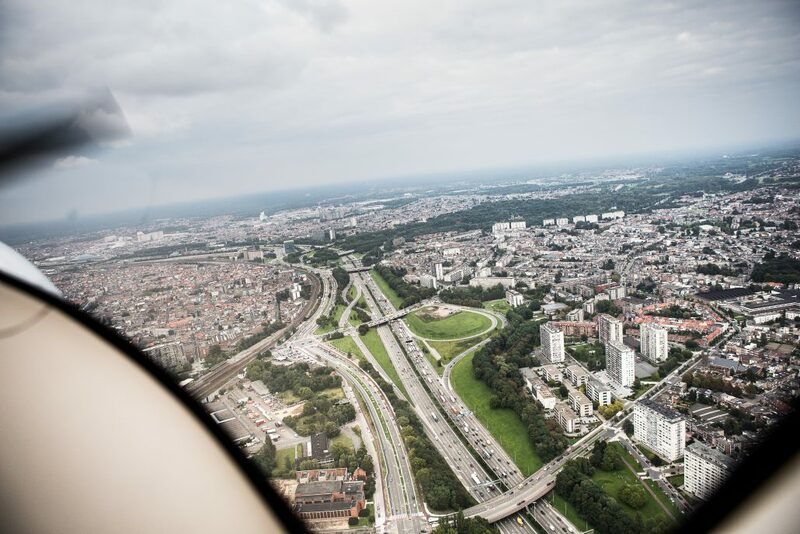 In the beginning we mainly focus on learning to fly and learning to land. The next step is learning to navigate and we learn what to do in emergency situations. The practical training is given by our highly qualified team of experienced instructors who are also pilot on the ASL corporate jet fleet. The practical part is tuned as much as possible to your availabilities, to create the most individual approach as possible. // What are the requirements? There are no specific requirements before someone can start his PPL training. the only necessity is that people need to have a performed a medical examination. We advise people to do this before starting the training. // What is the cost? For a detailed overview of the total pricing we invite you te meet us at our facilities or you can contact us for further info via eptc@aslgroup.eu or visiting our contact page.